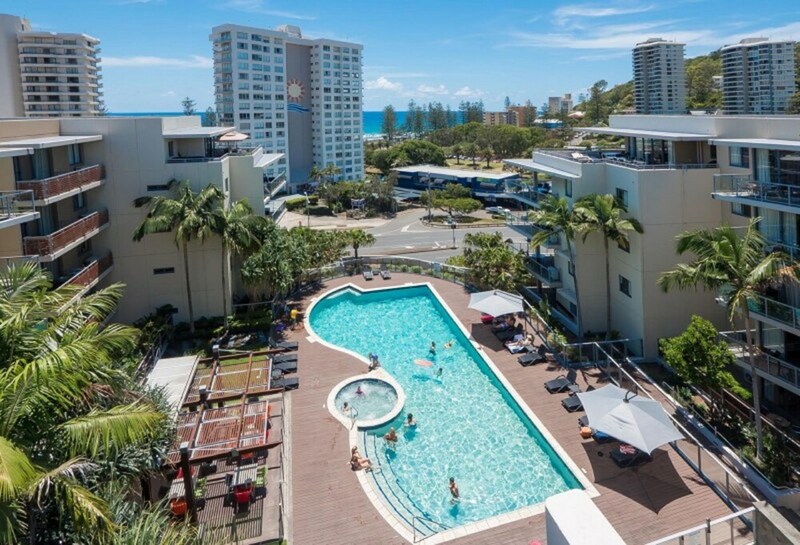 A luxury stay in Burleigh Heads awaits you at Swell Resort Burleigh Beach. Within a 20-minute stroll, you'll find Jellurgal Aboriginal Cultural Centre, Tours & Information Hub and Burleigh Beach. Highlights at this property include a restaurant, an outdoor swimming pool, and in-room kitchens. You can enjoy a TV with cable channels, and each apartment features free WiFi, a balcony or patio, and a dining area. In-room dining is easy with a kitchen that comes equipped with a fridge, a microwave, and a hob. A DVD player, a coffee/tea maker, and in-room massages are also available. Weekly housekeeping is available. The restaurant, Club Burleigh, is open for lunch and dinner. Enjoy the fitness centre, outdoor tennis court, and spa tub. Additionally, you'll find free WiFi in public areas and laundry facilities. There's also the convenience of free self parking. Places within a 30-minute walk of this 4.5-star Burleigh Heads property include Burleigh Head National Park and Stockland Burleigh Heads Shopping Centre. Hi thee, Thank you very much for taking the time to review our resort. It really helps other guests when choosing to stay somewhere on the Gold Coast. We are very pleased you enjoyed your stay with us and hope to see you again sometime soon. We were on level 5 very noisy, bed uncomfortable, terrible service, will never stay here again. Sorry your stay was not what you expected. If there is anyway we can assist you with issues, please contact us at anytime thank you. Location was great, very central. Reception staff where friendly and attentive. Shared pool area was lovely. King size bed in main room was good. Gym equipment was sub par. Kids games room was out of action due to Yoga sign 24-7. Room itself was lacking in kitchen utensils. We paid for an extra person (5) in total and where not given bedding or towel, had to ask. Click down sofa/lounge was extremely uncomfortable so our son had to sleep with us. To whom this may concern, firstly we are pleased you enjoyed your stay with us, but I would really like to get down to the bottom of the extra bedding issue. Could you please contact me in private so I can look into this for you thank you. Oh we are so sorry about this. We get our Pest Control done every early December just in time for our Christmas Guests and our Pest Control company did warn us that we may have a few left of creepy crawleys trying to escape. So our sincere apologies. It had all that we needed. Clean, comfortable and relaxing resort with friendly and helpful staff. Thank you and is there anything we could help your experience next time? Could have been a bit cleaner. However good for a night away. Thank you for your review. We are sorry to hear this as we do not get many comments like this, I wish we could have had the opportunity of addressing this whilst you were staying with us :-( Take Care. Friendly staff, clean, location, pool, spa, gym, all first class. Awh, that is lovely thank you and we are pleased you enjoyed your stay with us. We love it here too. There's a restaurant on site. WiFi is free in public spaces. As a guest of Swell Resort Burleigh Beach, you'll find an outdoor pool, an outdoor tennis court, a spa tub, and a fitness centre. Tour or ticket assistance, a BBQ, and an arcade/games room are also featured at the luxury Swell Resort Burleigh Beach. Self parking is free. 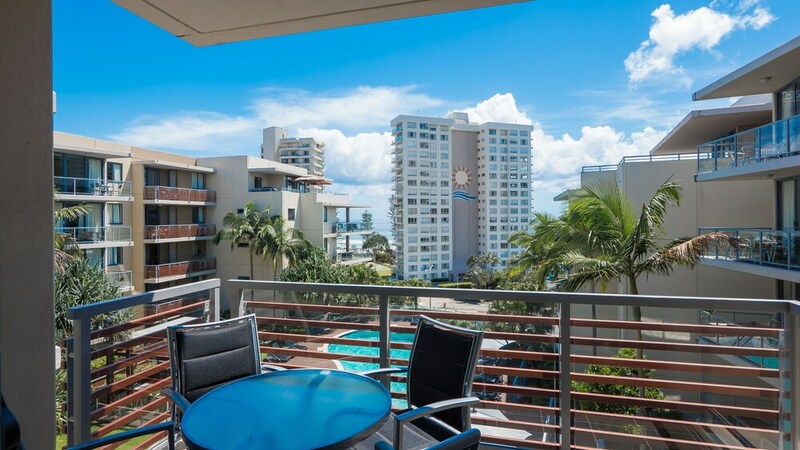 This 4.5-star Burleigh Heads apartment is smoke free. Swell Resort Burleigh Beach offers 35 forms of air-conditioned accommodation with DVD players and coffee/tea makers. Rooms open to balconies or patios. Accommodation at this 4.5-star apartment has kitchens with fridges, hobs, microwaves and separate dining areas. Bathrooms include complimentary toiletries and a hairdryer. This Burleigh Heads apartment provides complimentary wireless Internet access. Cable televisions are provided. Housekeeping is offered on a weekly basis and in-room massages can be requested. Club Burleigh – This restaurant serves lunch and dinner. Guests can order drinks at the bar and enjoy al fresco dining (weather permitting). Open daily. If you are planning to arrive after 5:00 PM, please contact the property at least 48 hours in advance using the information on the booking confirmation. The front desk at this property is open daily from 9:00 AM - 5:00 PM. Guests arriving after 5:00 PM must contact the property at least 48 hours prior to arrival using the information on the booking confirmation.